What are the Best eCommerce Software in 2019? About Shopify : Shopify is the leading cloud-based, multi-channel commerce platform designed for small and medium-sized businesses. Merchants can use the software to design, set up, and manage their stores across multiple sales channels, including web, mobile, social media, marketplaces, brick-and-mortar locations, and pop-up shops. The platform also provides merchants with a powerful back-office and a single view of their business. About Magento : Magento, an Adobe company, is a leading provider of cloud commerce innovation to merchants and brands across B2C and B2B industries and was recently named a leader in the 2018 Gartner Magic Quadrant for Digital Commerce. In addition to its flagship digital commerce platform, Magento Commerce boasts a strong portfolio of cloud-based omnichannel solutions that empower merchants to successfully integrate digital and physical shopping experiences. “Customize your heart out! Magento’s base functionality has thousands of custom configurations that can be combined to create an intuitive user experience no matter how you want your site/store to function. If you’re setting up an eCommerce store, this is by far the most amazing option as far as CMS is goes.” – Katie G.
About Squarespace : Squarespace’s mission is to provide creative tools that give a voice to anyone’s ideas. From designers creating the next generation of web and mobile experiences, to those managing their own online presence for the first time, Squarespace provides elegant solutions that set new standards for online publishing. By focusing our efforts on the fusion of design and engineering, we strive to create long-lasting products that place equal weight on form and function. “Squarespace is easy to set up (a site can be completed in an hour or less if you have all the info you need ready to go). Once a site is live, it rarely has any issues, becomes visible on Google fairly quickly, and there are no security worries to deal with as everything is hosted on THEIR servers, not mine..” – Dave V.
About PrestaShop : PrestaShop was founded in 2007 with a mission to provide world-class ecommerce software through open source innovation. Today more than 270,000 ecommerce stores run on PrestaShop technology. The company provides software that enables users to have an online store at the lowest cost possible. The PrestaShop open source community includes 850,000 merchants, developers and web agencies from around the world. “Easy to configure, easy to update ( one click update ), easy to install new modules and themes and builders. One of the most versatile platforms for physical and virtual goods. I have custom made for customers shops with upwards of 1 million products, imported from dropshipping suppliers.” – Lars F.
About Bigcommerce : BigCommerce is the world’s leading cloud ecommerce platform for established and rapidly-growing businesses. Combining enterprise functionality, an open architecture and app ecosystem, and market-leading performance, BigCommerce enables businesses to grow online sales with 80% less cost, time and complexity than on-premise software. BigCommerce powers B2B and B2C ecommerce for more than 60,000 SMBs, 2,000+ mid-market businesses..
” It is a professional looking platform, with a lots of features packed in this software, just install it and you are ready for a big fight. Customer Support is available 24/7 on phone or email, as you can receive a quick helping hand at every hour on every timezone. ” – Kyle B. About Volusion : Volusion provides an all-in-one ecommerce solution for all business types, ranging from startups to large enterprises. Since 1999, Volusion has been committed to connecting people with innovative and powerful commerce solutions to empower their business growth. 17 years later, Volusion has earned dozens of awards and accolades, recruited nearly 300 ecommerce experts and has powered over 180,000 successful online businesses. “Continuous uptime, fast & friendly customer service and tons of features to customize your site. I tried the SEO plan to optimize my site and my organic search is up dramatically, well worth every cent.” – Sue F.
About Shopware AG : Shopware is a leading open source eCommerce platform and trusted by over 80,000 businesses, including leading European brands, retailers and manufacturers across B2C and B2B industries. Shopware has a global network of 1,200+ solution and technology partners and an active developer community that gives customers access to robust third-party extensions and certified professional support. About Pinnacle Cart : Pinnacle Cart is an all-inclusive eCommerce shopping cart solution. Developed by online marketers for online marketers, our platform includes everything you need to take your business from start-up to eCommerce enterprise. Our secure solution is PCI complaint and PA-DSS certified and includes an optimized mobile store. We guarantee you’ll see an increase in online sales and offer FREE migrations from over 40 different shopping carts! About Infusionsoft : Infusionsoft provides a CRM, marketing automation, eCommerce and payment solution, along with a marketplace of apps, integrations & strategic consultants. By centralizing contact information in one place, Infusionsoft’s CRM improves the efficiency of sales teams. It eliminates redundant sales activities and, combined with the robust marketing and e-commerce tools, Infusionsoft aims to help small businesses sell more by automating sales workflow and nurturing leads until they are ready to buy. “Customizability is my favorite part of Infusionsoft. It is very powerful to be able to have it do exactly what you have dreamed up. It seems pretty simplistic at first, but when you get into it, you start to realize that the possibilities are endless of what you can accomplish and do with it.” – Chase D.
About X-Cart : Serial entrepreneur covered by Forbes, Financial Times and Tech Crunch, Ruslan Fazlyev, one of X-Cart founders and board member, was driven by an idea of democratization of eCommerce since he founded X-Cart back in 2001. Dropped out of college to concentrate on X-Cart, and bootstrapped the company to over 100 employees in five years. X-Cart was the first downloadable PHP/MySQL shopping cart platform in the world, so the interest was growing incredibly fast..
About Miva : Miva, Inc. is the creator of a groundbreaking ecommerce platform which powers more conversions, better integrations, and lower total cost of ownership for a broad range of exciting American businesses. With comprehensive solutions for all facets of online selling, Miva delivers modern omnichannel ecommerce for every customer and every industry. “Miva is very easy to work with for any online marketer or ecommerce professional. I have worked with them for complex websites and they were able to handle very large sites and very complex rules with no issues.” – Jason B. About CS-Cart : CS-Cart is a ecommerce solution used by over 35,000 merchants in 170 countries. The software comes with an open source code and is to be installed on the user’s server for full control over the online store. CS-Cart takes into account the latest ecommerce developments, including multi-store management, block manager, visual editor, advanced order management tool, powerful SEO functionality, etc. “CS-Cart is an excellent product and suits any size of store. I highly recommend CS-Cart to anyone looking to set up shop on the web.” – Jan B. About Beeketing : Beeketing is a marketing platform that helps online sellers create marketing campaigns effectively and easily through automation, enables them to sell like Amazon. Beeketing gives online sellers the POWER to sell effectively like Amazon: Beeketing tracks and analyzes customer behaviors on websites to find out customers’ personal interest; study sales history to determine what products and categories are frequently matched together. About CrazyLister : Trusted by 100,000 eBay sellers, CrazyLister is the world’s leading eBay listing solution. Create professional, mobile-responsive and 100% compliant eBay listings in minutes to boost your sales by as much as 200%. Bulk revise 1000’s of eBay listings to look as professional as the most admired brands and take your business to the next level. With 200+ designer-made templates, this is the ultimate listing solution to grow your eBay business and stand out from the crowd. “The website is easy to use, has a lot of great functionality, and makes selling on eBay very simple for people who don’t have the time or energy to create their own professional looking listing. It’s certainly made my side business much easier to handle in terms of time management and efficiency!” – Luke W.
About 3dcart : Founded in 1997, 3dcart is a complete and robust eCommerce platform designed to help online store owners thrive in a competitive market. With hundreds of features built directly into its software, business owners can effectively open, operate and maintain a successful online store with relative ease and efficiency. 3dcart currently powers more than 17,500 global merchants, and its support team is always available, at no additional cost, 24/7/365. About SITE123 : SITE123 is here to change everything you know about online website builders. It is a perfect solution for private and corporate Internet users, offering tools that let you build your website without requiring prior design and coding experience. We let you create and handle your website without the need and cost of hiring a professional. Create your website using ready-made styles and layouts. Our extensive list of templates makes it so easy. Try SITE123 out for yourself today. “Customer service is ALWAYS there if you have an issue and they are eager to help. The software is VERY easy to use but it is top notch as well, many custom things you can do to your website that most companies charge a great deal for.” – Paul O. About Sharetribe : Sharetribe platform is the easiest way to create a marketplace website in the spirit of Airbnb, Etsy or Fiverr. Allow your community to sell or rent goods and services to each other. You can create the marketplace in a few minutes, easily customize it to fit your specific niche, and monetize the marketplace by allowing people to pay to each other through the platform and take a commission on each transaction. “Easy set up. Great customer support. Free 30-day trial. Reasonable pricing. Lots of tutorials to get started. Great articles in the Sharetribe Academy to help you grow your community and business.” – Christian H.
About nopCommerce : nopCommerce is an ASP.NET based open source shopping cart, allowing anyone to set up an online store quickly and with minimal expenses as the solution is free. One key feature of nopCommerce is its pluggable architecture which allows additional functionality to be dynamically added to the application at run-time. This pluggable modularized architecture makes it easy to create and manage your web stores. “It’s great how this software is a powerful ecommerce solution including some free plugins that extend the software even more! I like the new UI design that recently came in. development and management is super easy.” – catherine c.
About Cratejoy : Cratejoy is the only all-in-one subscription box solution to help you launch, grow and scale your company. We provide the leading subscription box platform that allows you to launch and grow your business faster and more efficiently – no coding or plug-ins required. We support over 2,500 companies on our platform and over 1 million subscribers on the Cratejoy Marketplace. Founded in 2014, Cratejoy is headquartered in Austin, TX. “Easy to use with a great interface. The growing features help streamline my business so I don’t have to worry about my customers. Comprehensive sales platform with a lot of options.” – Mark D.
About Sumo : Sumo is a suite of widget-like apps free to install on any HTML or popular CMS-based website. Designed to grow traffic and maximize content engagement, users can install tools including List Builder, Heat Maps and Share from a single Sumo plugin. Fully customizable and expandable via the integrated ‘Sumo Store’, pricing plans apply to access subsequent apps. “I love the (even at the freemium level) assorted tools they have for capturing emails. With a little bit of coding, you can customize your lead magnets, both in terms of appearance and delivery.” – Jake The Film G.
About ShippingEasy : One solution, fully supported by experts. Manage your shipping, inventory, and customer marketing, all within the ShippingEasy platform. Save time and money so you can focus on growing your business. Full support for USPS, UPS, FedEx and more. We integrate with leading online marketplaces such as Amazon, eBay, Etsy, Shopify, BigCommerce, WooCommerce, Volusion, and many others, to allow automated order, tracking fulfillment data, and inventory levels to populate in real time. “Ease of use, connectivity, for both our shipping needs and marketing are all incredibly important aspects of ShippingEasy. In the 5 years we’ve been using SE, it has saved us countless hours in creating shipping labels, return labels and tracking packages.” – Andrew P.
22. Justuno – Conversion rate optimization platform for digital marketers! About Justuno : Justuno provides a suite of on-site conversion tools designed to increase leads and revenue for thousands of businesses worldwide. Our best-in-class platform enables digital marketers to design, implement, and track effective on-site promotions all in one place. Justuno fully integrates with every major eCommerce, ESP and data platform, including Shopify, Shopify Plus, BigCommerce, Magento and more, to create a complete omnichannel integrated solution. Engage website visitors, increase conversions and gain valuable customer insights with advanced targeting and robust analytics all in one place. “Justuno has a lot of flexibility and can really do almost anything you want in terms of pop ups and overlays for audience development and sales development.” – Zack C.
About Brightpearl : Brightpearl is a platform to manage inventory, accounting, customers, suppliers and fulfillment across your omnichannel business. Paired with real-time reports on inventory, cash flow, profitability across products, channels, customers and much more. Allowing you to make data driven decisions and execute an effective strategy to grow your business. About Handshake : B2B Commerce is how every product arrives on every shelf, in every store. B2B is different. It’s complex. It’s about relationships. We believe that the experience of B2B buying and selling can be better. That suppliers can build even stronger relationships with their customers. We’ve made it our mission to help manufacturers & distributors grow their business by making it easy for their customers to order the right products from them, in-person and online. “Very quick, simple, and efficient to create orders. Great for sales reps on the road, which is primarily were I used this software and saw it being used by others. Overall this is excellent software, I highly recommend it to any traveling sales reps or anyone working sales in a high-paced environment where efficiency is king.” – Jake C.
The eCommerce industry is on its peak now with sales expecting to reach $6.7 trillion by the year 2020. As many people prefer to shop products at a discount price online, the industry is reaping the benefit out of it. However, running an online store requires streamlining a number of intricate components and processes such as CRM, CMS, emails, payment gateways, etc. Apart from these, one also needs to look for accounts, social media management, and ERP solutions to manage inventory better. Needless to say, managing all these tasks solo or with manpower has equal chances of human errors. In this regard, an eCommerce software can be your ideal bet for sure. Let’s know how exactly. » What is eCommerce Software? » How does eCommerce Software work? » Is it worth investing money in eCommerce Software? » What are the benefits of the eCommerce Software? » What are the key buying factors to be considered before choosing the eCommerce Software? » How to choose good eCommerce Software? » How much does an eCommerce Software cost? » What are the Best eCommerce Software in 2019? It is an online tool that can handle all processes related to online shopping with ease. For instance, an online store software can manage inventories, facilitate order placement, carryout secure payment through secured third-party applications, manage accounts, among many others. Starting from product selection to successful checkout, it can auto manage the entire process quite efficiently and conveniently. The software can organize and catalog your items as per their size, and quantity. Not just that, it can auto calculate the tax and shipping charges as per the customer location and can send confirmation emails to them on successful business transactions. There can be both b2c and b2b eCommerce software – you have to select as per your need. Online shopping involves a series of steps and processes, and the best eCommerce software streamlines all those without any hassle. Firstly, it displays products and categories when someone visits your website. Secondly, it enables customers to create an account for shopping and stores all the necessary information there. Thirdly, it provides customer will all the required information such as the price of the product, delivery date, shipping charges, and facilitates customer to go through a secured payment process during checkout. Finally, it helps the money gets transferred to your account, confirms the order and send a confirmation email to the customer against the same. By integrating to third-party software applications, it also offers order tracking, and live chat support as well. An eCommerce website software can not only help you organize your online store but also helps it easily detectable by improving its search engine rankings. With robust website management and the guarantee of 100% uptime, the shopping cart software enables you to run ahead of your competitors. The all-in-one integrated platform performs multiple tasks under a single time frame ensuring zero mistakes. Looking at the above perspective, it is an excellent choice to invest money in the best shopping cart software. The eCommerce software helps companies and businesses by simplifying everyday tasks and activities, such as managing inventory, computing taxes, and fulfilling orders, payment of fees and much more. Previously these small processes used to take long hours as well as careful input from the users, as even a small mistake could result in a drastic loss to the company. However, the various aspects of the eCommerce software have automated the different processes ensuring greater work productivity with reduced wastage of resources. So, let’s check out some of the exciting features of the software. This feature helps beginners create their personalized website without the need for churning their head over the internet. Following the easy-to-follow steps, one can easily set up a site and make income from it within hours with the help of the ECommerce software. This is made possible by providing in-built designs, templates, themes, and more which tackles the need for hiring commercial designers to design your website. The second feature which serves as an essential factor for setting up websites and efficiently managing them is the central storage. This facility allows users to store, access, and retrieve information whenever needed with just a few clicks. Other information like customer data, product listings, account information, transactions, and more can also be stored in the central storage which helps in securing them from vandalism. Search tools come in handy when there is a need to find for the perfect product among the heaps of many. These small yet sophisticated tools in the online store software can help in retrieval, listing, categorizing, and updating newer products along with their description. Nowadays many online store software come with in-built integration with the existing tools to enhance operational management of the eCommerce companies. Hence, additional functions like accounting, email marketing, and payment processing amongst many can be completed without any issues within the single software. Keeping the need of vendors to have advanced marketing tools within a single online store software in mind, many software developers have provided access to the users to benefit from the tools. Using these tools, one can easily use various marketing strategies to expand the popularity of their brand name, making it reach a much broader population. The shopping cart software also uses analytics and reporting to provide its users with the latest updates on the market trends in real time. This is done by tracking the customer’s buying behaviour, demographics, and the keywords which are being frequently used. Afterward, the company can then develop tailor-made products according to the latest trends to increase the traffic inflow to the eCommerce store. The best shopping cart software helps kickstart your business from scratch by providing a variety of tools and facilities as discussed above. From increasing the team’s work productivity to expanding the fame of your products and services offered in the eCommerce store, a single software can perform many wonders. Hence, let’s learn about the plethora of benefits provided by the software to many companies and businesses in order to sustain their eCommerce stores. Creating websites for eCommerce stores has been made easy, thanks to the shopping cart software which provides readily usable facilities and tools. Hence, one can merely use sophisticated features to drag and drop or change the design templates of the eCommerce landing page, and bingo, your work is done. One of the most significant advantages of the eCommerce website software is that it is always open and users can come searching for products or merely clear their cart from your store at any time they want. This helps in serving global customers with the ease of your hands, as the software automatically does the work for you. Hence, one does not have to sit down for prolonged hours waiting for purchases and sales. As the eCommerce website software pretty much handles everything on its own without the need for user interference, the wastage of both time, as well as resources, can be easily tackled. This is comparatively a better option than recruiting staff to handle individual jobs in the eCommerce store. Eradicating the constraint of physical space for storing all the products as required in physical stores, the eCommerce website software helps individuals to own as many as products they want. Moreover, as the products list increases, the chances of more people buying your products is also enhanced. Securitizing, the payment and transaction details including the credit card number, net banking credentials, and other payment platforms, is the most crucial aspect of an eCommerce software. The details are protected from malicious attackers by enabling two-factor authentication or by activating the firewall which prevents unauthorized or forceful intrusion. Using a b2b eCommerce software is as easy as reading a manual for using a smartphone. A beginner can benefit from the step-by-step guidelines provided on the eCommerce websites. Using them, one can easily search, select, order and check out the product from your eCommerce store within minutes. The b2b eCommerce software comes with a variety of facilities and tools which differ from one another in many aspects. Hence, although one may think that implementing the software can improve organizational efficiency, it may not always be the case. There are some points which are worth remembering before choosing the software for your eCommerce store. Let’s have a detailed briefing on the subject to gain a deeper understanding of the context. The reason behind installing a b2b eCommerce software for a website is mainly due to the set of needs desired by the company. These needs differ from one to another. Thus, it is always advisable to jot down all the requirements of the eCommerce store beforehand in order to ensure that you land with the perfect software. Every software has its capacity limit which cannot be extended further. Similarly, the online store software also differs according to the total number of users it accepts, and similarly, the pricing structure also varies. To avoid any future headaches, it is highly recommended to estimate the number of users who will be operating the software. The pricing plan of the shopping cart software varies from one to another. Thus, while choosing for the software, one must be careful enough to prepare a final budget of the software, which will help cut down the massive list to a few affordable ones. The journey of choosing the best eCommerce software can prove to be very tiring as well as scary for both beginners as well as professionals. This is because of the availability of such a vast number of software and the fact that not everyone has the complete knowledge of the wide-ranged functionalities of the software. Hence, we have hand-listed some of the essential points which can ensure that you get the perfect deal. Check them out now. The best eCommerce software is always coupled with the most straightforward interface to help users operate the software without any issues. Moreover, it also tackles the need for hiring technical geeks to perform even the simplest of tasks, such as launching a new product or sending invitations to the customers on the latest discounts and offers. Many software nowadays comes with real-time tracking facilities which lets the users monitor and verify the progress of their eCommerce stores along with the click-through rates of each product. This also puts focus on the low performing areas while suggesting better options to maximize the profits. 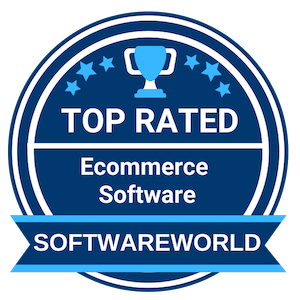 No software can be considered the best eCommerce software until and unless it houses an experienced, 24/7 customer support excelling in providing immediate solutions. Similarly, some advanced software nowadays are coming with personalized email customer support which lets the users connect with the support team without the need for waiting for prolonged hours to get their problems solved. The comments section usually consists of reviews left by the old customers who have already used the software. This can highlight the quality of services along with the frequency of service call requests which can help in separating the good ones from the bad ones. Similar to every software, the pricing structure of the best shopping cart software are distinguished from one another depending upon the facilities availed from the software. Most software starts with a pricing plan of $8/month, while others may reach a tremendous high of $359/month. Similarly, with the advancement of the software, many software also allows the users to enjoy the ‘pay-as-you-go’ option which can be appreciated by paying the subscription fee. The unique feature of this option is that one can purchase and download extra business tools without any headache. However, many experts have stated that choosing the free basic version of the software in the initial stage can help in finding out the quality of service provided by the software. Afterward, one can go with the premium plan if interested. An eCommerce software facilitates you to quickly start your online business without having an understanding of behind-the-scenes technical stuff. Your store always remains open, and you can sell to anyone, anywhere. Not just that, you save time, money and resources as compared to running a brick-and-mortar store. With that being said, all you have to do is to choose an ideal online store software that can provide a quick return on your investment for sure. » Social Media Marketing Software – Today’s society is connected more towards the internet with the help of amazing social media marketing software. To make your business successful, you have to make a presentation of it on the social website. To keep your business on so many platforms is not at all easy to manage. » Inside Sales Software – The inside sales software is integral to keep up with the high-touch sales along with the follow up of the prospects frequently in a sales cycle. The sophisticated software assists with the key roles in the inside sales including lead qualification and conducting demos. » Productivity Software – The competition in the business world is increasing constantly, and during such situations, the best Productivity Software is necessary to help the employees produce important things like databases, documents, presentations, worksheets, and graphs. » Email Marketing Software – To choose the best email marketing software you need to understand the various aspects of what makes it the most sought-after software for marketers. Companies are using email marketing to reach more customers, increase sales and build brand loyalty.